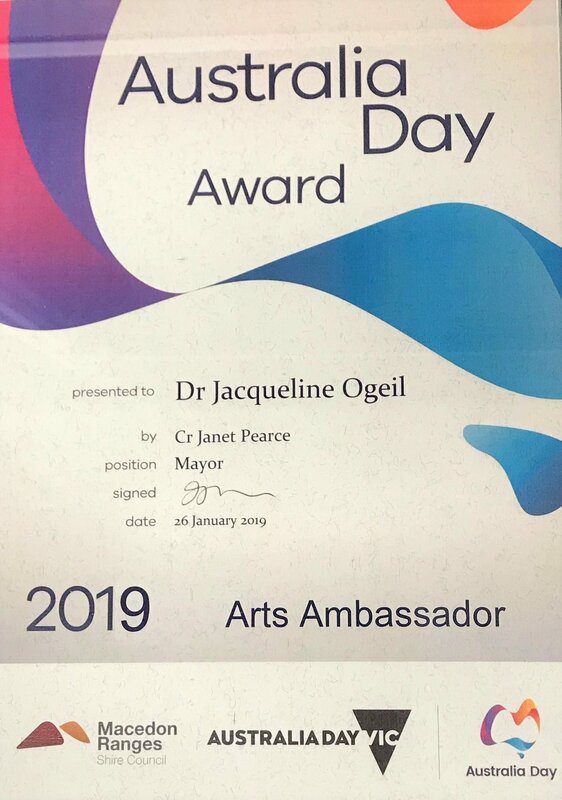 It is with great pleasure that Montsalvat announce that our Executive Director Dr Jacqueline Ogeil is the recipient of an Arts Ambassador Award from the Macedon Ranges Shire Council as part of the Australia Day Awards for 2019. Dr Jacqueline Ogeil, artistic director and co-founder of the Woodend Winter Arts Festival, works tirelessly bringing artistic and cultural opportunities to the Macedon Ranges. Jacqueline’s artistic direction of the festival over the past 15 years has seen Australian and international performers, writers and artists bring cultural change to the Macedon Ranges, and has helped increase tourism visitation, providing great community and business benefits. We congratulate Jacky and celebrate her tireless work in the arts.